OK, I’ve finally conceded that I’ll never be mistaken for Lance Armstrong. But while a month on a bicycle in France isn’t viable for a 45-year-old who breaks a sweat taking out garbage, it’s lucky that Southwest Florida is not without more suitable two-wheeled options. And if you’re seeking to get your pedal on, why not enjoy a little scenery along the way? 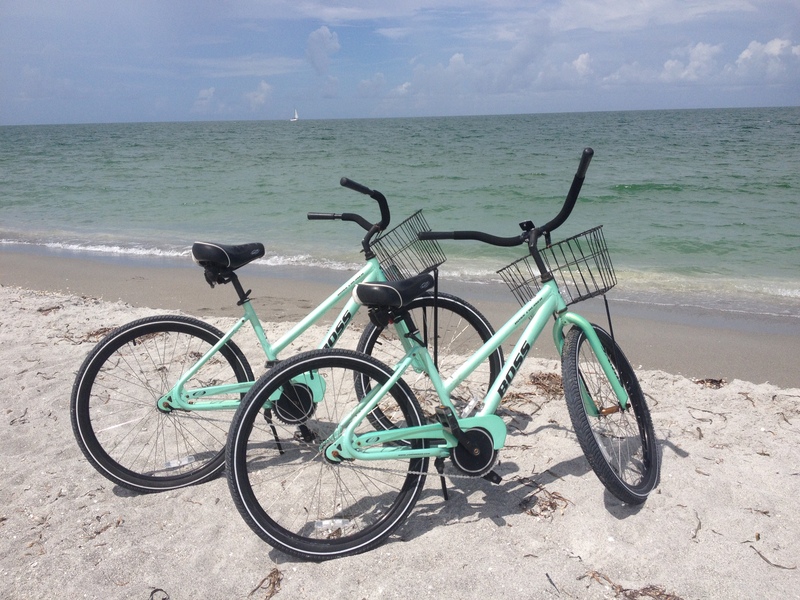 The quest for mild exertion amid world-class visuals begins conveniently at the Tween Waters Inn’s bayside marina, where a full complement of non-geared bikes are available for rental by resort guests. Rates start at $15 for the first two-and-a-half hours and $5 per hour thereafter, an outlay which provides instant access to a fleet of ready-to-roll machines stationed a turn or two from Captiva Drive. From there, the options are only limited by the spring in your legs and the air in your lungs. My Saturday adventure (rentals are available starting at 9 a.m. sharp) began alongside good friend and colleague Michael Korb, who joined me in the mid-morning scorch as we hung a left out of the parking lot with visions of a full 28-mile trek from resort to Sanibel lighthouse and back. It only took a trickle of middle-aged perspiration – which arrived after barely 60 seconds – to get us rethinking those objectives. And by the time we’d rolled two miles to picturesque Blind Pass, we were content with the idea that a 15-mile ride with higher aspirations would substitute nicely for a nearly 30-mile version that was 50/50 to end with a next-of-kin notification. Fortunately, there was enough eye candy in our midst to distract any battered 40-plus ego. Our leisurely tour brought us past the familiar cadre of fishermen on the bridge, alongside the occasional white egret strolling the fence line of the sprawling “Ding” Darling Wildlife Refuge and face to face with a vagabond gopher tortoise happily munching grass in the linked video while cars whizzed past just feet away. We used the refuge’s parking lot as a pit stop prior to a thankfully tail-winded return trip to the resort, and the jaunt was capped by a visit to the pristine beach across the street before the bikes were re-racked alongside the marina steps just a few minutes before noon. It’s far more sand than Champs Elysees, but as finish lines go it’s pretty tough to beat.